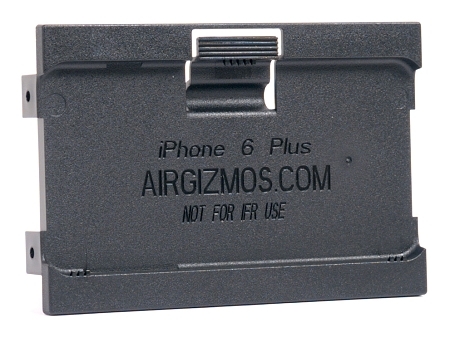 Now it is possible to replace your aging Garmin handheld with an iPhone running your choice of flight software. 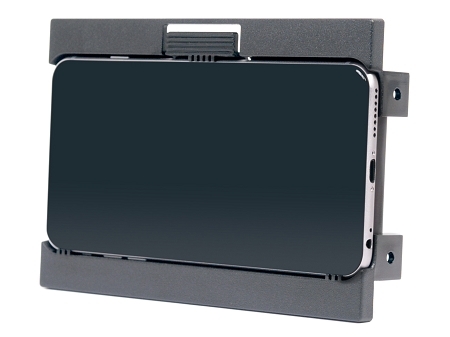 We have made it easy for you by making the new iPhone 6/7/8 Plus Panel Dock a direct replacement for your existing 196/296/396/496 Panel Dock. 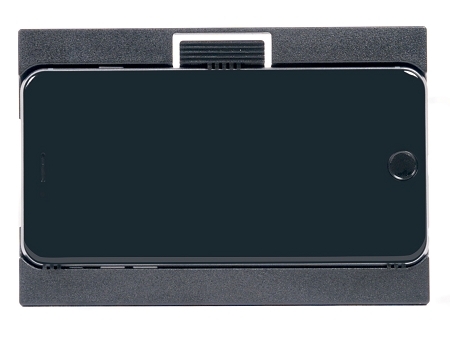 Using your iPhone in your panel is easy with our Panel Dock. Just snap it in and go. In most cases you won't even need to connect any wires. If you do decide to attach power or some headphones, we have provided convenient access to those ports. When it is time to remove your iPhone, simply press the release lever. 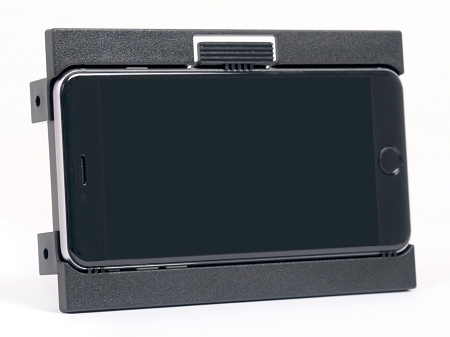 The iPhone 6/7/8 Plus Panel Dock fits in the same opening as the Garmin 196/296/396/4965 Panel Dock, and therefore can be used with our Horizontal or Vertical tilt adapters.